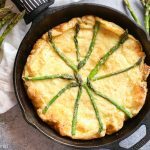 Swiss + Asparagus Dutch Baby - Gluten Free, Quick, & Easy! 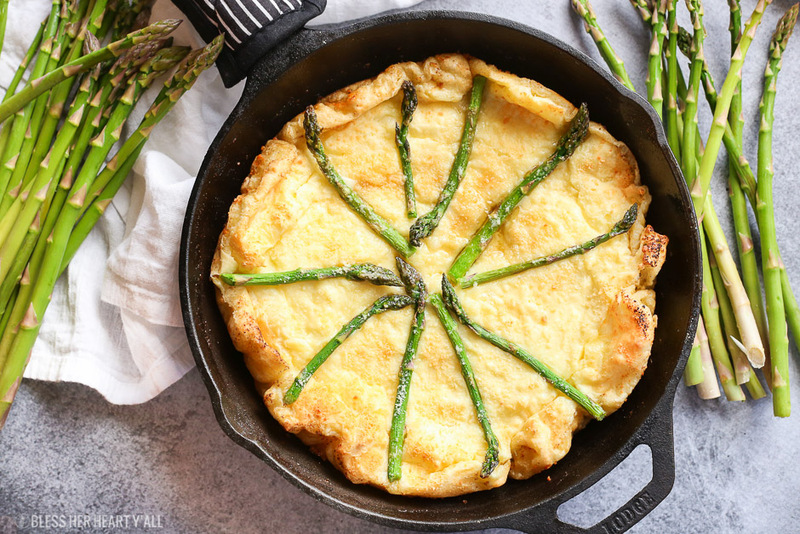 This swiss asparagus dutch baby is so incredibly soft and moist, cheesy and doughy, quick and easy, and gluten free! 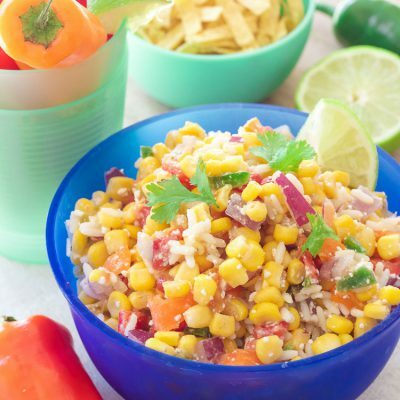 I like concocting new recipes that Alex may not necessarily be too excited for. 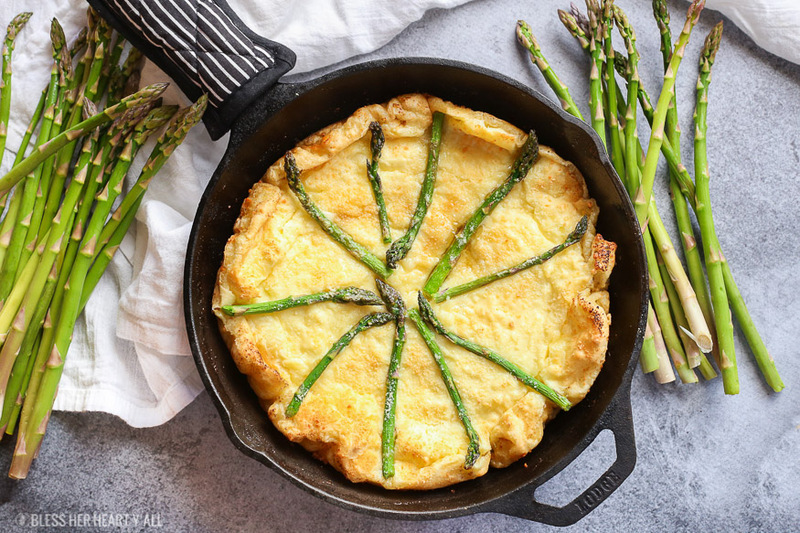 Well, this particular weeknight I decided to try my hand at a gluten-free dutch baby which I had never tried before (this gluten free version of a dutch baby is adapted from the gluten-full recipe from Simply Suzanne’s. 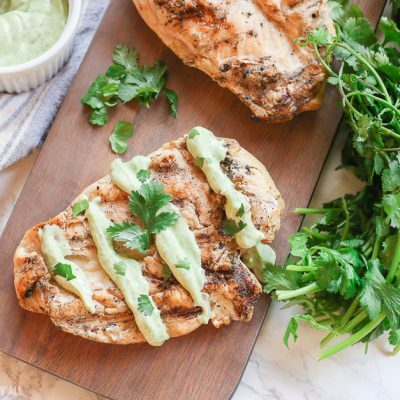 I’ve been obsessing over all of her gorgeous recipes lately!). 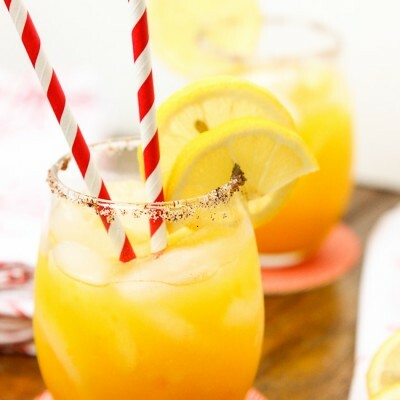 I ‘shoulda coulda woulda’ tried this eons ago if I knew how good it would turn out y’all. 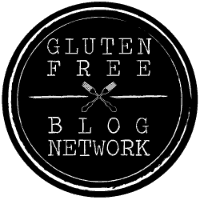 I was so unexpectedly happy (I never expect my first grab at gluten-free baking to turn out great without having to tweak it a few times first) that I Instagrammed my excitement and maybe insta-mentioned at Alex to hurry home or it was going to be all gone. This wonderful baked goodie is so light and fluffy, yet the insides are tender and doughy. It’s hard to explain how good this buttery delight is without trying it yourself. I just haven’t decided what kind of spicy to try first. 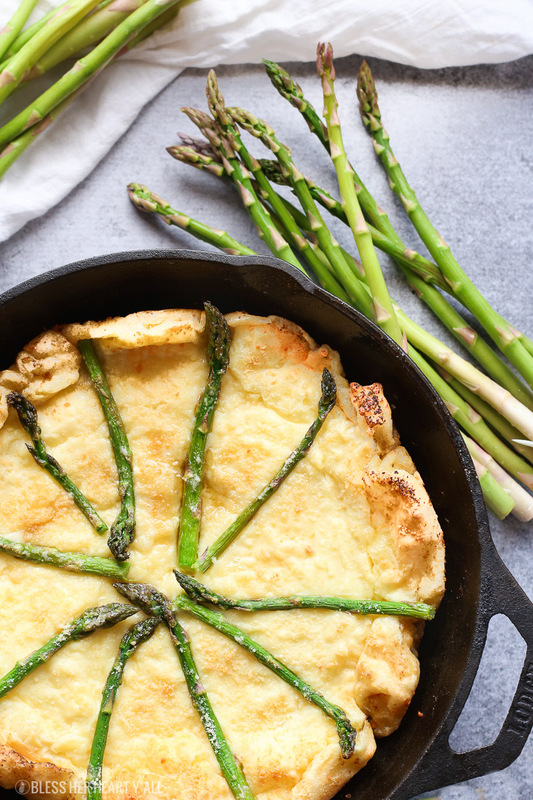 I think that the asparagus is a playful and fancy way to add some green to the top of this dish. 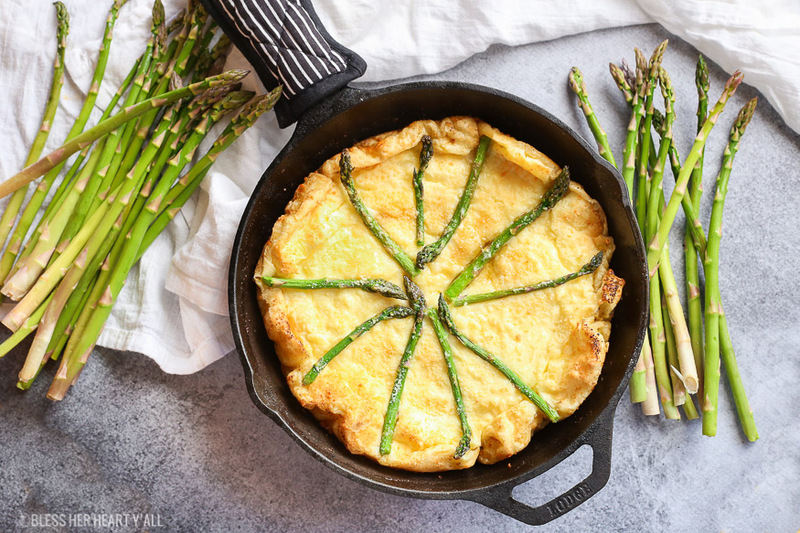 It’s perfect for a springtime brunch, your Easter table, or breakfast for no particular reason just because it’s so darn fast to whip up. 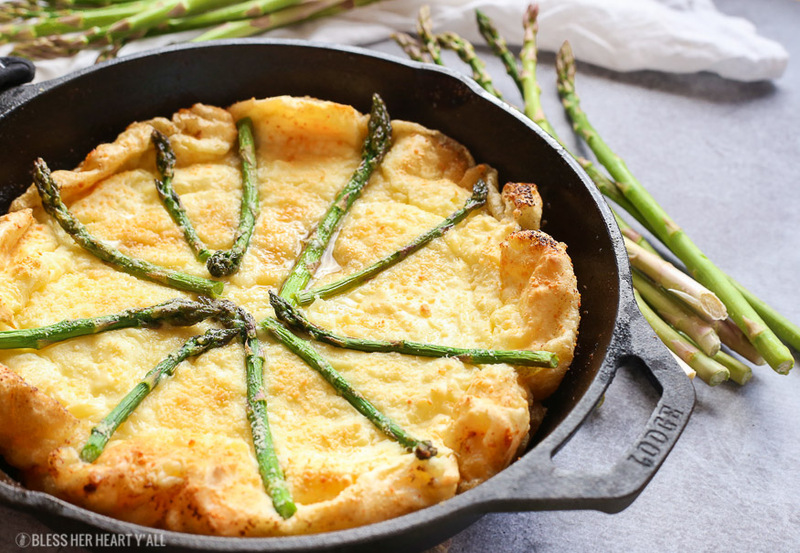 Whisk together all ingredients except the asparagus, butter, and parmesan cheese. Set aside. 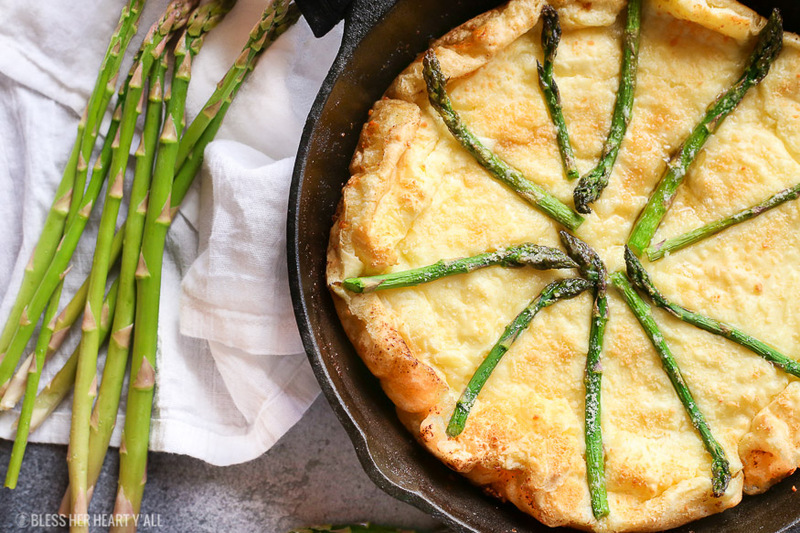 In a 10" oven-safe skillet, melt the butter on the stovetop. Carefully pour the dough mixture overtop of the melted butter in the skillet. Fan the asparagus heads on top of the pancake dough (you may need to trim the length of the stalks in order to make the asparagus fit- see video below). 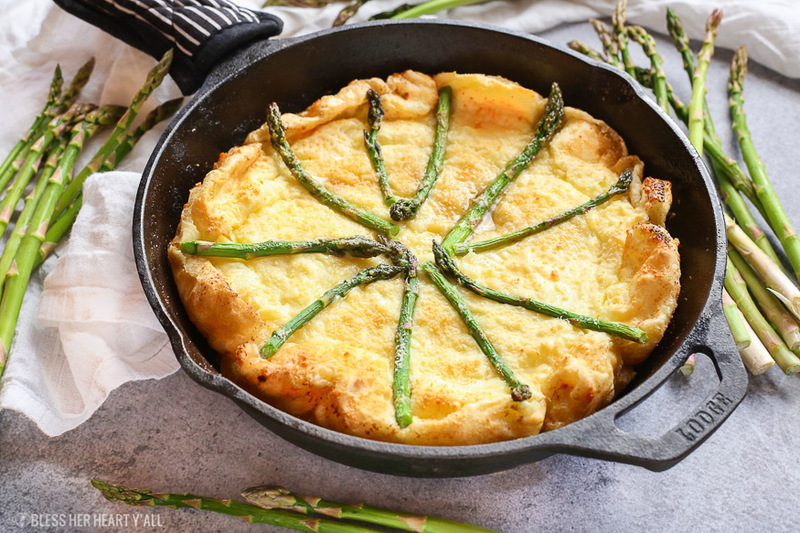 Sprinkle with half of the parmesan cheese and cook for 12-15 minutes, or until the dish becomes golden brown and bubbly around the edges, yet the inside is still moist and doughy (see video below). Sprinkle the other half of the parmesan cheese on top and serve warm. Enjoy it messy! You may have leftover asparagus like we did to make other tasty dishes with like this Sweet and Spicy Summer Garden Pasta. Careful to remember that the skillet’s handle will be very hot after coming out of a 425*F oven. Last week I forgot, and grabbed a hold. I hope you enjoy! Thanks for stopping in friends!